We are pleased to announce Courtney Brandenburg as the winner of the March 2017 scholarship! Congratulations and best of luck in your chiropractic career. Read her winning essay below. Dr. BJ Palmer, the developer of Chiropractic, once famously said, “The power that made the body, heals the body.” Chiropractic does not do the healing, it allows the patient’s body and their innate intelligence to gain health independent from drugs, surgery, vaccines or other invasive means of care. Medical treatments rely on the doctor or drugs to do the work through surgery or succumbing to big pharma. More recently, people are finally looking for holistic alternatives to western medicine because they see the detrimental, unremitting bodily effects that treatments from the outside in, rather than inside out can cause. Medical treatments are concerned with the immediate effects of the patient feeling better with disregard to lifetime wellness. Chiropractic care focuses on immediate relief as well, but moreover, how the patient can function optimally for a lifetime of health and wellness. Chiropractic is greater than just getting adjusted, it is a lifestyle that incorporates every aspect of life. Medical care is that of a short-term diet, only providing short-term relief of symptoms rather than continuous wellbeing. Educating patients on this concept is crucial but may also be challenging because society has been brainwashed by western medicine and big pharma for many years. Explaining that prescriptions and invasive medical surgeries only mask what is actually going on, in comparison to Chiropractic care, which gets to the root cause of the dysfunction. Regaining function is done by adjusting subluxations of the spine which are causing the superficial pain and discomfort that the patient is feeling. This presents an opportunity for education and connecting with patients through asking and learning, which is the opposite medicine’s speaking and telling means of patient kinship. Metaphorically speaking, the intent of medicine is to suppress and control, whereas Chiropractic’s intent is to release and grow. Western medicine is symptom-based care where the objective is to disguise and subordinate the symptoms through invasive measures. Chiropractic is cause-based care with the objective being to release subluxations that are inhibiting the body from optimal expression of life. This distinction between the two avenues is a prime example to patients how medicine simply covers up what is actually going on within the body for a limited time, whereas Chiropractic addresses the underlying issues of why the body may be experiencing those symptoms. On a more superficial level, which patients can physically experience and resonate with, Chiropractic care is exponentially less monetarily detrimental compared to medical care. Not only is Chiropractic more affordable, it also provides physical touch and connection with the patient through palpation and adjustments. This contact has been long lost in the medical profession, where they now resort to simply inspecting patients rather than giving them connection, time and care. The most significant discrepancy are the differing paradigms of the two approaches to healing. Medicine is a mechanistic means to healing, where only physical, superficial processes alone are taken into account when treating a patient. Chiropractic is a vitalistic approach which acknowledges physical ailments but understands that there is innate intelligence within each of us that is necessary for living and coordinates all functions of life. Conveying the principle of vitalism to patients is extremely crucial to implement when they start care because the body is the greatest healer of all and is capable of healing itself in a way that medicine will never be capable of. 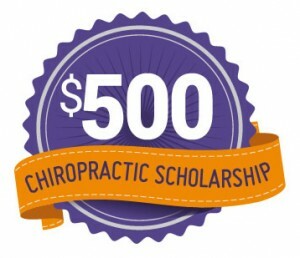 Are you a chiropractic student who would like to apply for the Perfect Patients $500 scholarship? Know a student who might be interested? You can find the details and entry requirements here. « Does Your Front Desk Convert New Patients?